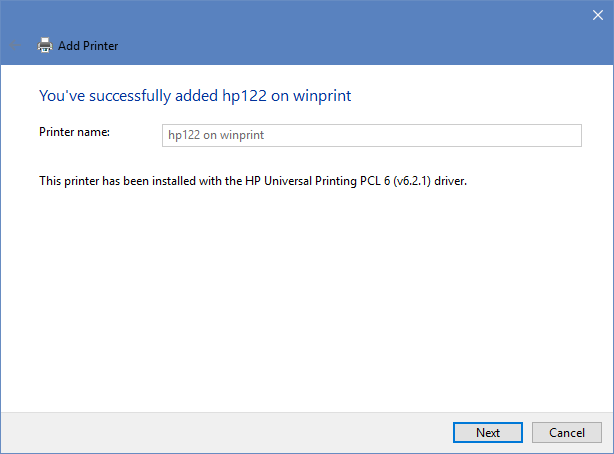 Windows Printing in Halligan Hall is actually quite simple….unless you don’t have a Windows machine, of course. So long as you’re on the EECS/Halligan network, your Windows machine is ready to connect to any number of printers in our building. We’ll outline a few methods for connecting below. This method is recommended and also works on Windows 7. 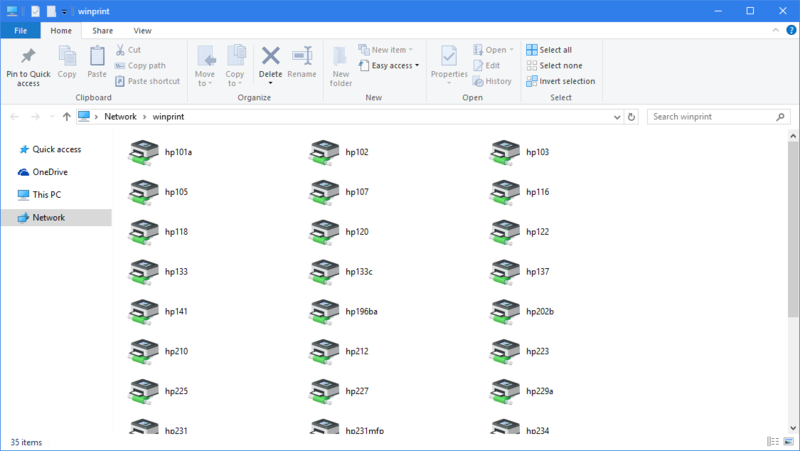 Open any File Explorer Window (My Documents, your Z drive, anything). You will be shown a list of all the printers in the building available to you. 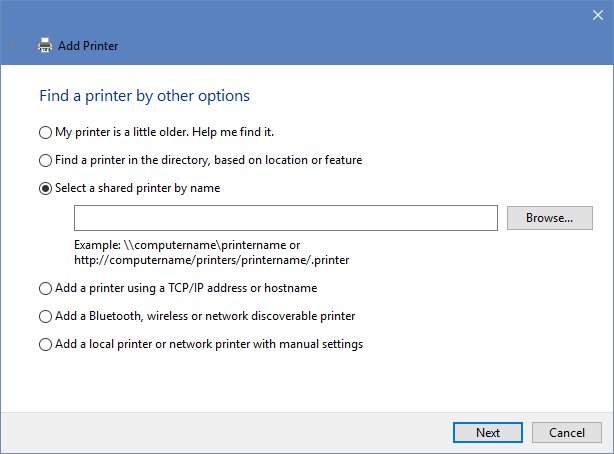 Either double-click or right-click and press “Connect” on any of the printers. The computer will install the necessary drivers for the printer and complete. You’re all set! This is the quickest and simplest way to connect to an EECS printer, but can be a little unreliable (details below). These steps work on Windows 7 also. 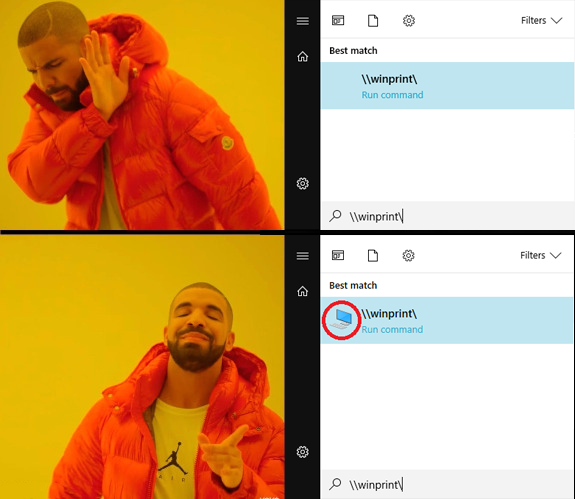 Note Windows 10 Users: Please be patient, as sometimes the result won’t show up immediately. Wait for the Computer icon to appear before proceeding to Step 3. If the icon takes more than a few seconds to appear, try deleting the trailing “\” from the above path and re-adding it. This is an error with Windows 10 that we are working on fixing. 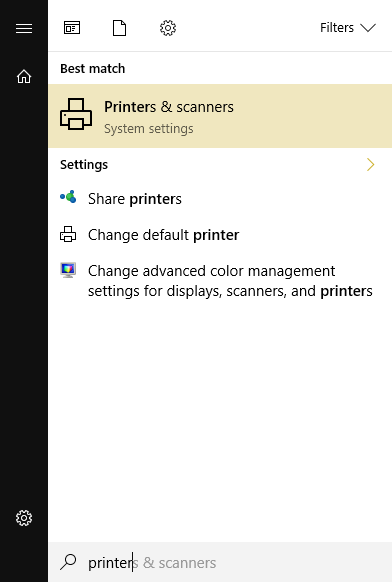 Open the start menu, type “Printers” and select the “Printers and Scanners” option. This will open a new window. 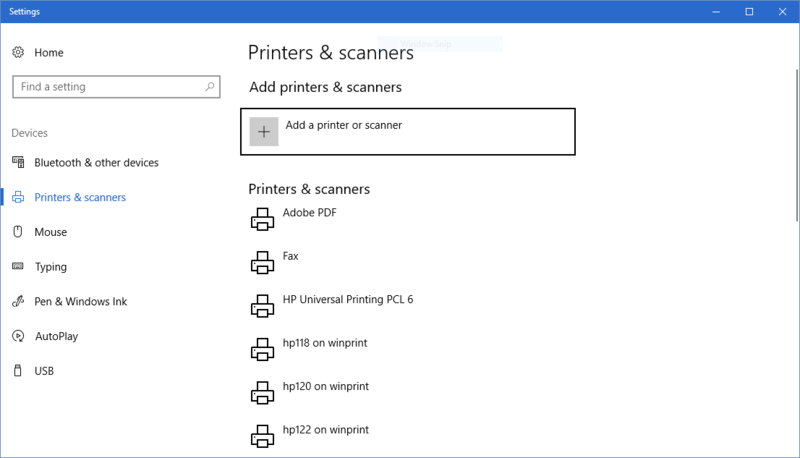 Select “Add Printer” at the top of the menu and wait for the list to propagate. In the list of printers, search for the one you would like to add. If it is there, great! Select it and you are done. If not, please continue to Step 4. 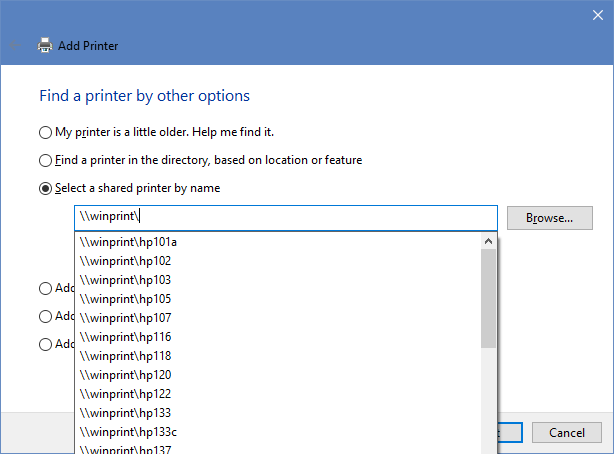 In the empty box, type \\winprint\ – As soon as you enter the trailing “\”, a list of all available printers should appear. The computer will connect to the printer, install necessary drivers, and tell you when it has finished. You’re all set!